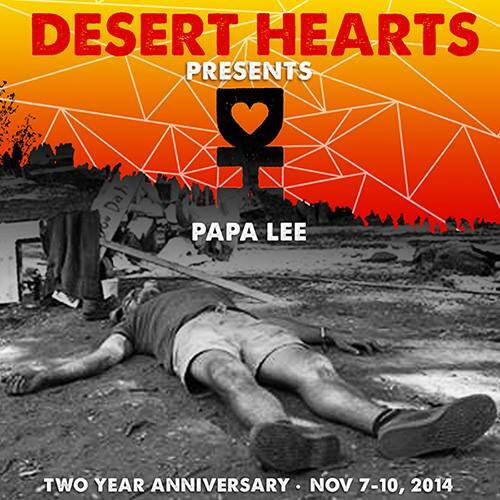 Lee Reynolds is described by some as a father-figure in the festival community, which is why he carries the moniker “Papa Lee”. 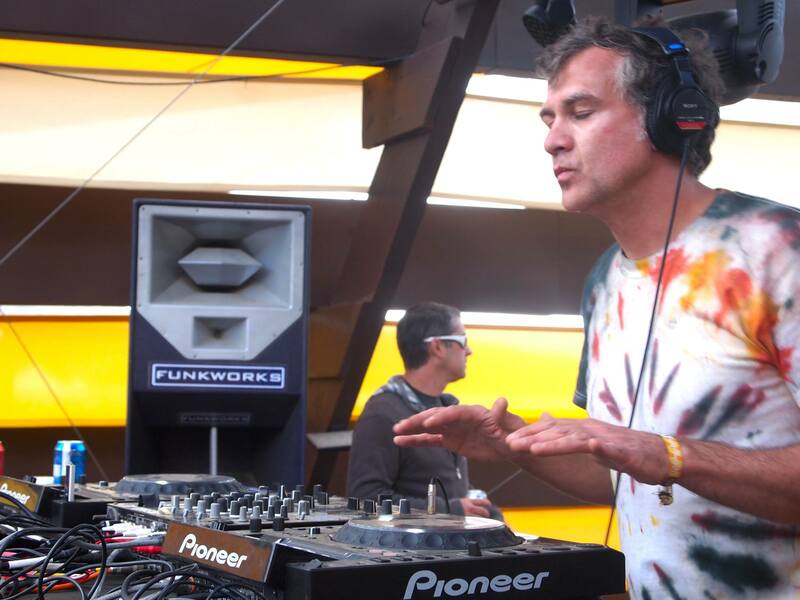 His stylish upbeat house rhythms have been an instrumental staple for Desert Hearts while his outspoken celebration of free-flowing kindness has inspired festies far and wide to dig deep as they look to become more involved in the festival community. Mostly though, his encouragement and compassion are the secret sauce that make him such a unique and delicious favorite wherever he goes. One of the most inspiring characteristics about him is his life and the way he takes faces it head on. While many hope to achieve a dream, Lee has through the power of sheer will achieved two far-fetched dreams already in his lifetime: becoming a professional BMX rider and a celebrated, touring musican. More importantly, he’s sparking that same dedication and fervor in the family that joins him this weekend at Desert Hearts. Then, later this month he’ll be performing back to back with the rest of the Desert Hearts crew (Mikey Lion, Pork Chop and Marbs on the Do LaB Stage at Coachella. 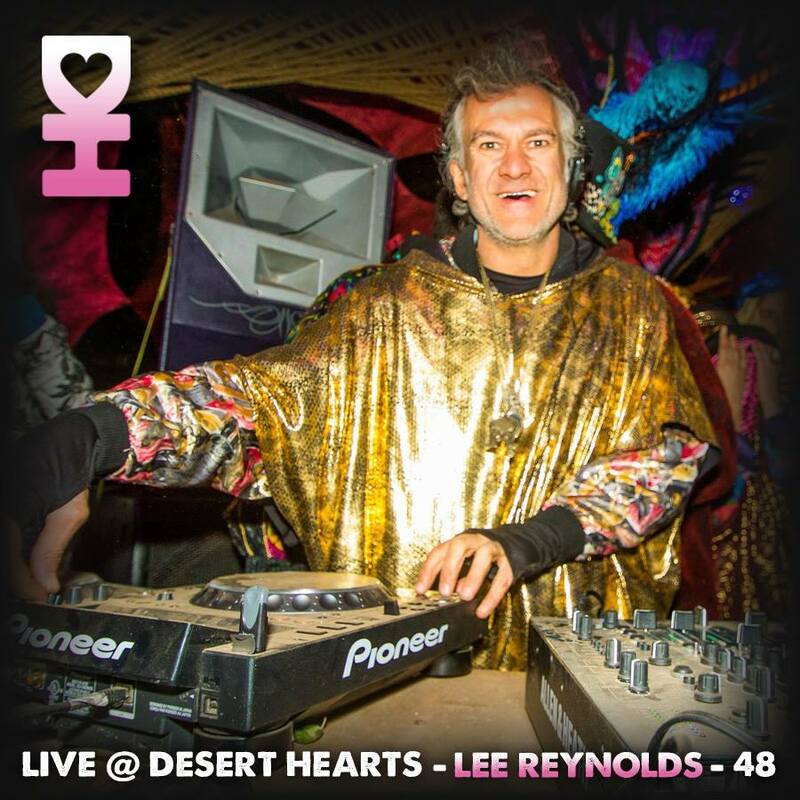 To get a window into this fascinating human and to really see through the kaleidoscope of candor and compassion at work in the meteoric rise of Desert Hearts as a cultural phenomenon, and to learn more about it we caught up with Lee Reynolds for an interview. What he had to say may surprise you! What is a Desert Heart, to you? To me? I mean, my whole life I’ve been into entertaining people and bringing people so to me as I just trying to create a space where people can come together and express their true selves, maybe get a little bit crazy for the weekend. You know, maybe get out of their social conditioning for a minute and just experience what it’s actually like to be a loving human being and just, you know, be kind to everybody and have fun and spread love. Desert Hearts has kinda created a forum for that because we decided from the very beginning that it was going to be about love and healing people with music. So that’s been our ethos since it beginning and it people really like picked up on there and they come with the best intentions and it creates such an awesome environment and I think in a way, you know, it kind of reminds people of what the world could be like if it was like that all the time. If you always treated people the way you wanted to be treated and then outside of that it’s a place for us to express ourselves with our music. I mean, we never intended or thought it was it was going to be as big as it is or that it would grow the way it has we just we were just some guys in San Diego that wanted to throw a party for our friends and basically it’s grown really organically. Symbiotically with like other things going around like we’ve created a catalyst for a local artist and “Desert Hearts” to sell stuff and they’re being inspired to take those businesses and develop them a little bit outside of Desert Hearts. At the time I was not really riding BMX anymore because I had too many injuries and I was having kids. I was okay because I had a great job with Fox Motocross, but it wasn’t my dream. I had gone from following my dream to doing everything that I wanted to do, to kind of compromising in a way. When Desert Hearts started I knew we had something good and so in the same way I just focused on it and I think when you do that and you become obsessed with something that much that you create a way to make it happen. The BMX thing was a powerful lesson that you should never compromise yourself. And if it seems like a really unlikely option – like, noone could believe I was running away to America to ride BMX bikes. Especially in England! I was pretty academic and everyone thought I was going to head to college, but I took a chance and it worked out. It’s the same with Desert Hearts. We’ve taken a chance and everyone knows that it takes a long time to see any financial success out of it but we put everything back into it. For us, it’s always been a labor of love for the most part – as anyone involved with festivals knows – it takes a long time the achieve any financial success out of it so it’s been tough, but we’ve like just constantly put everything back into. The team, though. The team that we have is so amazing and we’re best friends and we totally believe in what we’re doing and we’re never to cut corners and we always take care of everybody and I think that’s all finally coming back around. Can you tell us about your appearance as Bubbles? I DJ alot in San Francisco and have quite a bit over the years. Everyone kinda knows Bubbles and obviously we’re talking about a mainstay of the San Francisco party scene. We had a show that was just slightly before Halloween so I guess I didn’t really realize until until the day before it dawned on me that it was probably a costume party. I’m kind of wondering what I can be. I only have you know the clothes that I can scrape together and it popped in my head that I should be Bubbles. I had a beard so I was able to shave it back into his like crazy sideburns and I think I had some people fooled. He’s such a character and I love characters like that. Where did you learn this legendary foot tap that we see in your performances? You know, it’s funny, I have been getting a lot of compliments on my dancing lately which is ironic because growing up I was really self conscious about that. That’s one of the great things about getting older, as far as for guys anyway, I care less about what people think about me anymore and it allows me to be more myself and the more that I am myself the more people seem to like me. it’s actually something I used to Yeah where did you learn this is this attack that you would normally. It’s weird that you mention because my daughter was for the first time in an Lyft and the drive was like, “You know Lee Reynolds? !.” When she told him I was her dad he was like “Oh my god, check out this video that I have of him!” and he had like a minute long video of just my feet while I was djing. Just my calves and my feet. You’ve played stages all over the world. What are your top three experiences on a stage? The one that I get them the most feedback on from last year was Woogie Weekend which was funny because I was a late add so I ended up playing during the day and most people don’t usually book me to play during the day, but the response from the crowd was awesome. I cried a couple of times. The thing about it was I had flew out from Miami that morning and we played Miami and we played somewhere else the night before that so I wasn’t sure I was going to be able to pull it off. 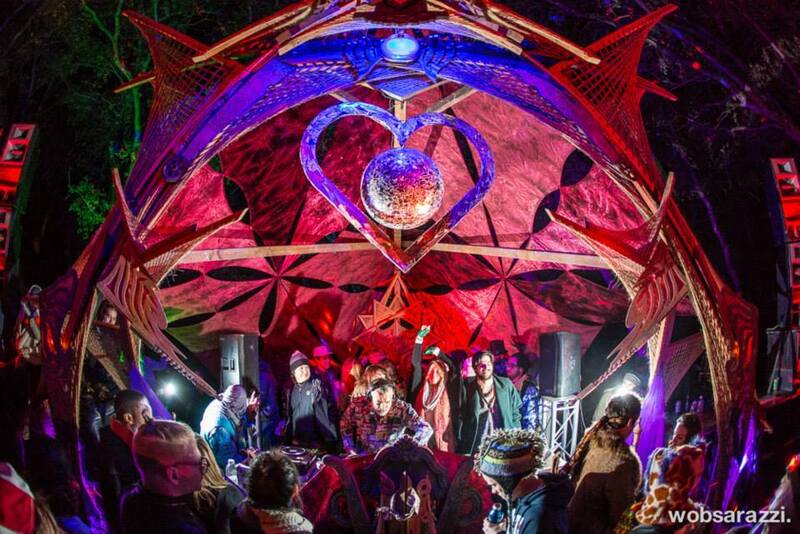 Playing the Lapa Stage at Envision was really fun last year, as well. I like House and Techno and I remember that stage was the one with my kind of dance music on it. I also thought Genius Loci was really fun! We always really love that party because it’s close to us being in San Diego and it’s a big beautiful piece of land and it’s the perfect excuse to go camping on the beach with your friends. Coachella is coming up and we’re excited for your performance! What do you have in store for us? Any surprises we should look for? Well, I’ve been working on a lot of music so I want to drop some of my own original tracks. Other than that, I never really like go into a set with everything planned and ready to go. Even with Desert Hearts, I never do that because I want to be open to the possibilities of the moment and like see what I think the crowd wants at the time. I definitely want to interact with the crowd. You know, without giving more away I can promise: it’ll be great. I think a lot of love and mutual respect for each other and being open-minded. But love is really the main thing, I think. I should start by saying, I believe you can’t manifest material things and a lot of people try to manifest material things, which is why they don’t have success with it. But if you have more of a feeling about what you want to do and what you ought to be doing you can follow that. Now, I want to change the world. Now in some way, shape or form I want to be remembered as someone who could open people’s eyes to the real possibility of life. We’re having this amazing experience and I think that’s why we’re here to experience things and the better job you do of experiencing things the more those better experiences will come your way. That’s what I want to be remembered for, yeah, maybe someone who could bring a little peace and love into the world.